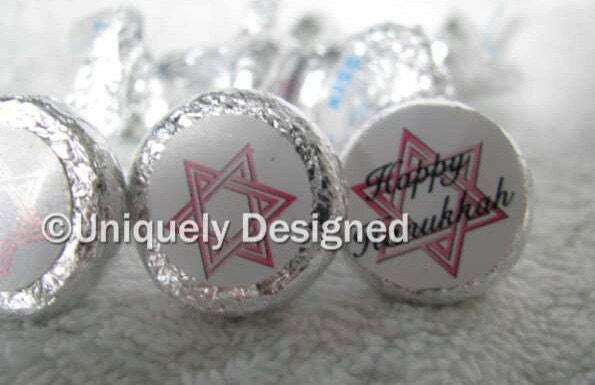 Bar Mitzvah and Bat Mitzvah favors--- Jewish Wedding Favors--customized for you! 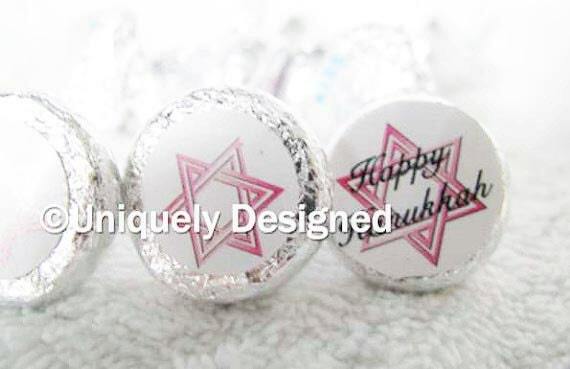 Bar Mitzvah and Bat Mitzvah favors customized just for you. 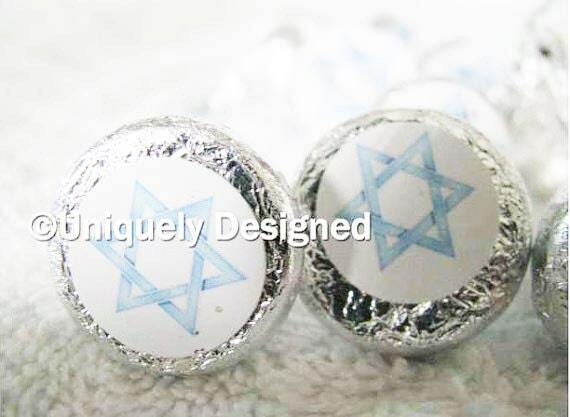 These Hershey kisses are great for the table. Or we can put them in a little bag for you for a small extra fee (please convo me if you are interested). You can also mix these with her Hershey minis! Hershey kisses are 20 cents each. This listing is 150. You can order more. Please convo me and I'll adjust the listing to the amount you need. Or add the minis (60 cents each) if you'd like both. Comes in pink or blue. 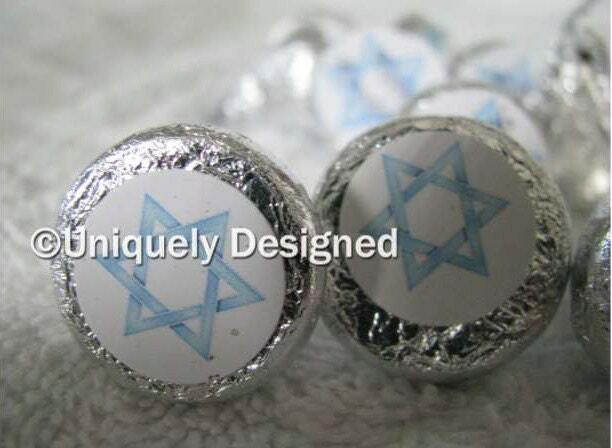 Or we can do a custom design in many different colors. Add a name and date too! US and Canadian shipping only on this item.